When you’re trying to sleep but your spouse, roommate or family member is snoring, the feeling of losing sleep can become maddening. It is estimated that approximately 90 million Americans deal with some sort of snoring activity during sleep. So if you are kept awake by a snorer in your life, then you are certainly not alone! If the snorer is just a roommate, then you might do something rash and kick them out. But when you love the people who are keeping you awake at night, or you aren’t able to change your circumstances, then you may need to consider doing yourself a favor and take advantage of high quality anti-snoring earplugs. Lost sleep can cause stress, fatigue, irritability, and even lowered job performance. Earplugs for snoring can improve your sleep—and that can improve the relationship you have with your family or roommates. Truly, using earplugs to block out the sounds of your partner’s snoring could actually change your life! Can Earplugs Cancel Snoring Noise? While snoring might seem like just a little problem when first mentioned, the sound of loud snoring in your room or your bed can range between 60 and 90 decibels (a sound measurement). This is as a loud as a vacuum cleaner (about 70 decibels) and may even be almost as loud as a chain saw (100 decibels)! No wonder snoring can keep people awake at night. Noise cancelling earplugs can help to drown out the noise of loud snoring but their effectiveness depends on their quality and design. When thinking about earplugs, most people’s first thoughts are of the disposable, inexpensive foam or rubber earplugs that can be used to dull noises. But there are also much higher quality options that can be custom fit and are able to cancel out much more of the sound that comes into the ear canal. Certainly, not all earplugs are the same in price or quality. The most effective noise cancelling earplugs are made to block out all sound frequencies to the ears, not just the higher ones that are blocked out by plastics or foam. Because snoring is almost always a low-frequency noise, it takes more than just a lightweight foam or cotton ball to block it out. If you have a spouse or roommate who is snoring and you just aren’t sure what to do next, consider getting help from the best earplugs for snoring. While it will vary depending on preference, in most cases the best earplugs for sleeping with a snorer are made from high quality materials and will most likely be reusable rather than disposable. Reusable earplugs for snoring are also better for the environment rather than throwing a pair away every day. This set of reusable ear plugs by SoundBarren offers 28db of protection for hearing, which essentially cuts the snoring sounds in half. 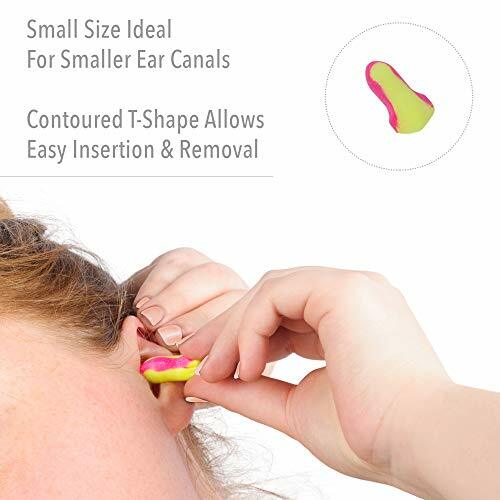 Because they are exceptionally comfortable, these ear plugs shouldn’t prevent you from falling asleep as they contour to the inside of your ears. Plus, these ear plugs still allow certain, less-annoying sounds to come through such as music or your alarm clock. Made from silicone that is soft and hypoallergenic, these earplugs fit most ears (for women and men) and come with a discreet carrying case. This company stands behind their product and offers a 100% no-risk money back guarantee without any hassles. If you’re convinced that you’d rather use disposable ear plugs, these foam earplugs by Howard Leight offer a contoured design that molds better to the inside of the ear. Although these are made for industrial use, they are also comfortable and effective when used to sleep in and block out the noise of snoring. Self-adjusting memory foam should fit any side of ear canal, large or small. Highly rated at NRR 32. Are they comfortable after you get accustomed to them? Are they clean and safe? How much do they cost for each use? Some horror stories have been heard from people who have used earplugs for snoring and other reasons. First of all, if you’re using reusable earplugs, it is critically important that you clean them regularly, after each and every use. Earwax, dirt, and bacteria in the ear canal are a bad mix and can cause ear pain, infection, or even loss of hearing. This is the reason that many people choose to use disposable earplugs—so that they are using a fresh, clean pair every time. 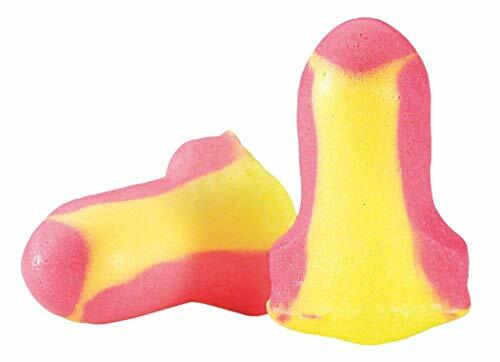 Ear plugs made out of pliable wax have also been known to be a problem as some people have had experience with them getting stuck inside their ears. Although they block out sound, they may also present a danger of infection or pieces that are left inside the ears. In general, it might be a good idea to get a recommendation from your doctor if you are using wax ear plugs on a regular basis, just to be sure that you are in good shape. In general, the use of earplugs for snoring may be a good idea. However, a better idea might be to help your partner stop snoring. Lots of options are available to reduce snoring and improve the overall quality of life for everyone in your household. In the meantime, though, get those earplugs and get some sleep!